Due to its location, the basement doesn’t provide as many options as other areas of the home when it comes to remodeling. For one, it lacks the amount of natural light that other rooms in the home receive. You can, however, play up your basement’s features to its advantage. Home entertainment rooms are generally isolated and don’t require bright lighting, so basements are perfect for this purpose. One of the biggest challenges when it comes to basements is controlling moisture retention. If your basement is prone to moisture issues, you need to address this issue before proceeding with the renovation, as it can lead to mold and mildew problems. 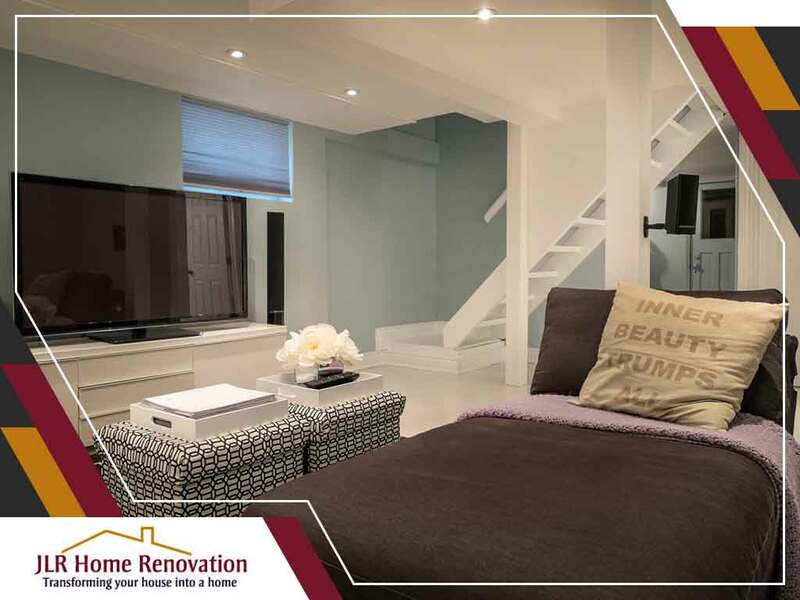 Consult your remodeling contractor regarding the best way to address moisture problems so your basement remodeling can proceed without further issues. Your basement should serve a practical purpose. Ensuring it is properly wired is critical to ensure the success of your remodel. Check with your contractor regarding electrical codes in your area. There’s a reason building codes require an egress point to be installed in your basement. Installing an egress window is a matter of safety. Make sure you abide by building codes. Don’t neglect the egress point of your basement. JLR Home Renovation has been in the business of turning houses into homes since 1995. You can count on us to provide outstanding services such as bathroom and basement remodeling. For more information about our services, please call us at (717) 306-9555. We serve Elizabethtown, Hummelstown and Hershey, PA.